Led by a grand slam in the top of the fourth, the Lake County Captains outhit the TinCaps for a 12-4 victory Thursday night. 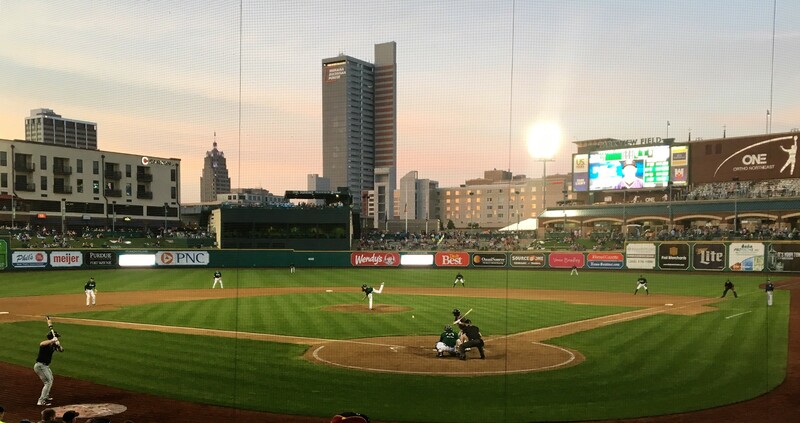 Heading into the top of the fourth, first-time TinCaps’ starter Joey Cantillo had given up only one run on two hits, but he began to tire in the fourth. With one out, Mitch Reeves singled in the gap between third and short, and Elvis Perez followed with a mid-range hit to right field that landed fair and then curled toward the bullpen, scoring Reeves. After recording his fifth strikeout of the game, Cantillo walked the number nine batter, leading manager Anthony Contreras to bring Fred Schlichtholz in relief. Schlichtholz forced Isaacs into a grounder, but shortstop Gabriel Arias mishandled it, loading the bases. Will Benson then cranked it to right field, giving the Captains a 6-1 lead. The Captains also rallied in the sixth to add three more runs. Facing reliever Austin Smith, Isaacs led off with a single. He stole second and then moved to third on a Joshua Rolette sacrifice fly. Following a walk to put runners at the corners, the Captains reeled off three consecutive singles to bring in two more runs. The Captains again hit three consecutive singles to start the seventh. With the bases loaded, Danny Sexton walked Rolette to force in a run. On the brink of another potential rally, the TinCaps turned a 1-2-3 double play, and first baseman Jalen Washington then made a diving catch on a sharp line drive to end the inning. The TinCaps’ offense had answers for the Captains in the early innings. Facing a 1-0 deficit in the bottom of the third, Aldemar Burgos singled and then took second base on a wild pitch. Jeisson Rosario moved Burgos to third with a sacrifice bunt, and a single by Jack Suwinski evened the score at 1-1. Joey Cantillo pitches in his first start for Fort Wayne. Photo by Ken Bugajski / EVTimes. 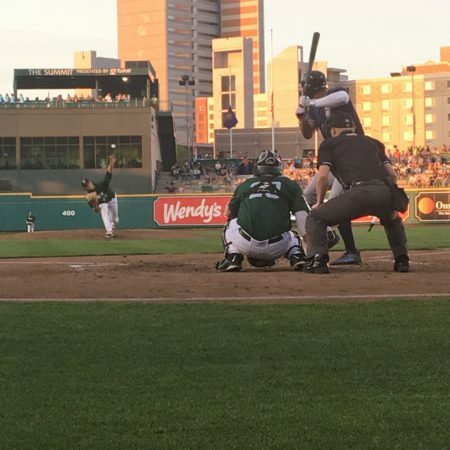 Following the Captains’ first multiple-run rally, the TinCaps answered with three runs of their own in the bottom of the fourth. Esteury Ruiz and Nick Feight led off the inning with a single and double, respectively, and catcher Michael Cantu walked to load the bases. Washington then drew another walk to bring in a run, and Burgos followed with a sacrifice fly to center. With runners on first and second with two outs, Suwinski and Owen Miller drew consecutive walks to force in another run and cut the Captains’ lead to 6-4. 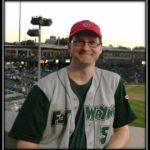 However, the fourth was the last time the TinCaps’ offense would threaten. Captains pitching retired the side three-up, three-down in three of the last five at-bats and allowing only one base runner in each of the other two. With four games left, the TinCaps are tied with the West Michigan Whitecaps for the last playoff spot in the Midwest League East Division. After concluding the series with Lake County Friday, the TinCaps will play the final three games of the regular season at West Michigan. Announced attendance was 8,321, good for the 17th sellout of the season. Feight was the only TinCap with multiple-hit games, going 3-for-4 with two doubles and a single. The Captains frustrated the lineup, recording 11 strikeouts during the game, with Suwinski the only hitter to avoid a K.
Cantillo recorded five strikeouts in his first Single-A star. In the ninth inning, TinCaps’ catcher, Chandler Seagle, took the mound. He gave up two runs on three hits, but also recorded a strikeout.